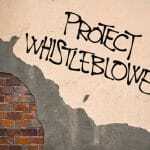 Can an individual be liable for dismissal on the grounds of whistleblowing along with the employer? Apparently, yes! A recent case in the court, Alexander Osipov was dismissed on the grounds of making protected disclosures. This was done by the recommendation of two directors Mr Timis and Mr. Sage. An appeal was made that he had been unfairly dismissed as per the Employment Rights Act. The employer in this case became insolvent. According to section 47B(1A), whistle-blower detriment by employees working for the same employer is prohibited. Hence, the directors were jointly and very severely liable along with the employer to pay for the losses suffered due to unfair dismissal. The case was upheld by the EAT. However, the EATs decision was upheld by the court of appeal which announced Timis and Sage to be liable for detriment under the section 47B(1A) and the losses due to their recommended dismissal. The section 47B(2) also states that there can be no claim for detriment where it can amount to dismissal itself. Such cases, which involve huge amounts of money, especially when there is no cap and scope to the compensation for injury to feelings, should be sufficient to remind the employers why they need to have robust safeguards in check. This ensures that they are not made liable for the actions of their employees. Just like in a case of harassment, if an employer can prove that he has taken reasonable steps to prevent the dismissal or detrimental treatment by a employee, they will not be held liable for the case. But, in reality this can be quite a difficult defence. The defence can work in a case where the treatment of a dubious manager was brought to the employer’s knowledge, but not so much as in the case of dismissal. In a whistleblowing situation, a reasonable step in defence can only be available when the employer is made aware of what should ideally happen, if an employee complains of malpractices. Also they need to appreciate the requirement to follow an internal process. Clearly, there is an obvious warning for the individuals who decide a dismissal on behalf of the employer. Bringing a claim directly against the individual decision maker who was responsible for the decision of dismissal makes it quite attractive for the claimants. There is also a statutory defence to this vicarious liability. An employer who can demonstrate taking all possible measures to prevent the unlawful behaviour will not be held responsible for the case. 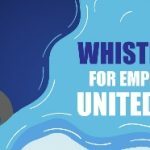 In case of whistleblowing, employers should demonstrate a strong commitment in order to prevent victimisation and have a strong regulation in these areas. An evidence of clear company guidelines and a supportive work culture are important to protect the company along with its employees and board members.